Until it was pointed out to me that while the top of the leaves are a normal green, their undersides are unusually a deep purple; I would have completely missed it. 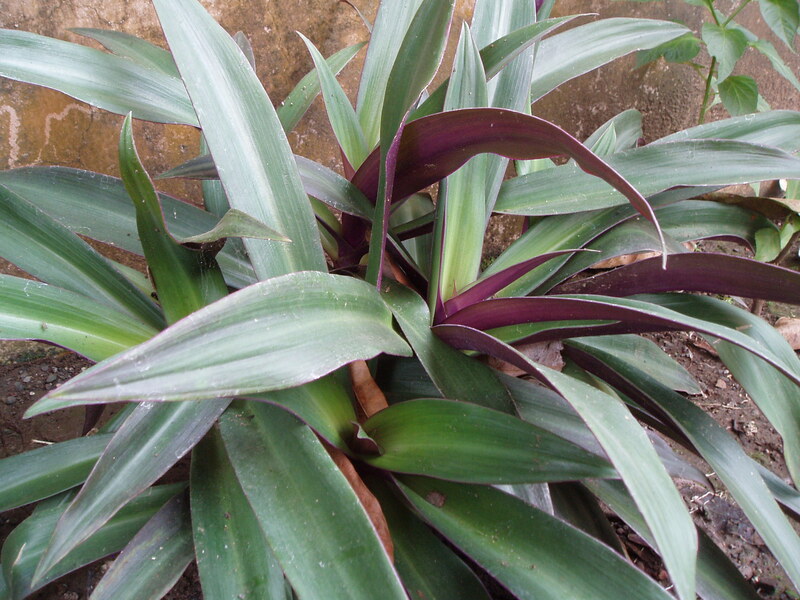 This plant used to be called Rhoeo Spathacea or also R. Discolor but has since been reclassified Tradescantia Spathacea. Bizarrely, it has also managed to get a common name of “Moses-in-the-Cradle” or “Oyster Plant” due to the way the flowers look (perhaps a bit of artistic licence is required), however the flowers are supposed to be somewhat underwhelming, I’m told.